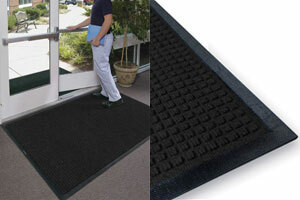 These rectangular floor mats measure 3' x 4' and are made of strong polypropylene fibers with a slip resistant rubber base. 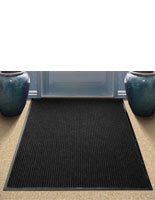 The entrance carpet keeps tile and carpet dry with its absorbent top layer. 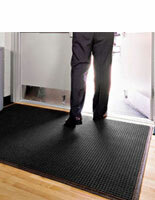 The commercial floor mats' raised edge will also stop shoes and boots from slipping, making for a stable doormat. 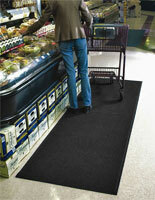 Rugs like this will keep establishments of all kinds clean, safe and dry.